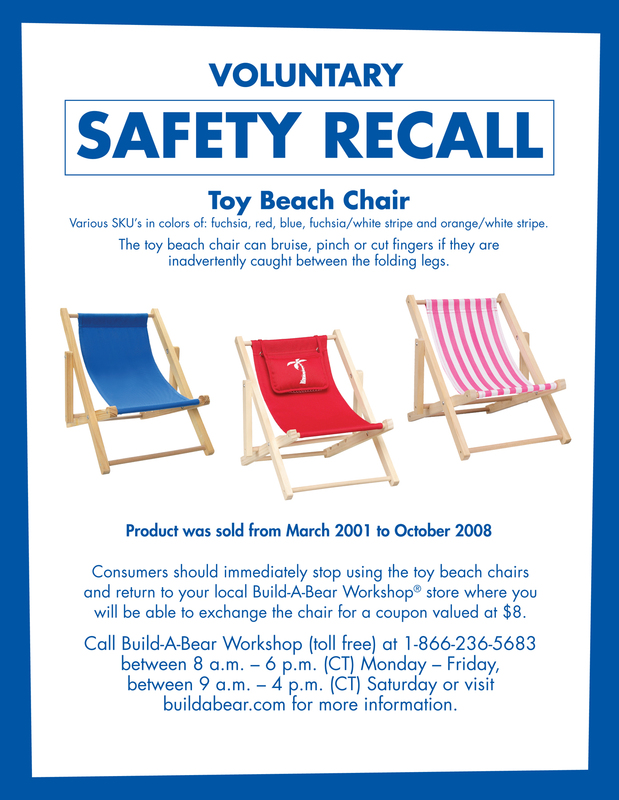 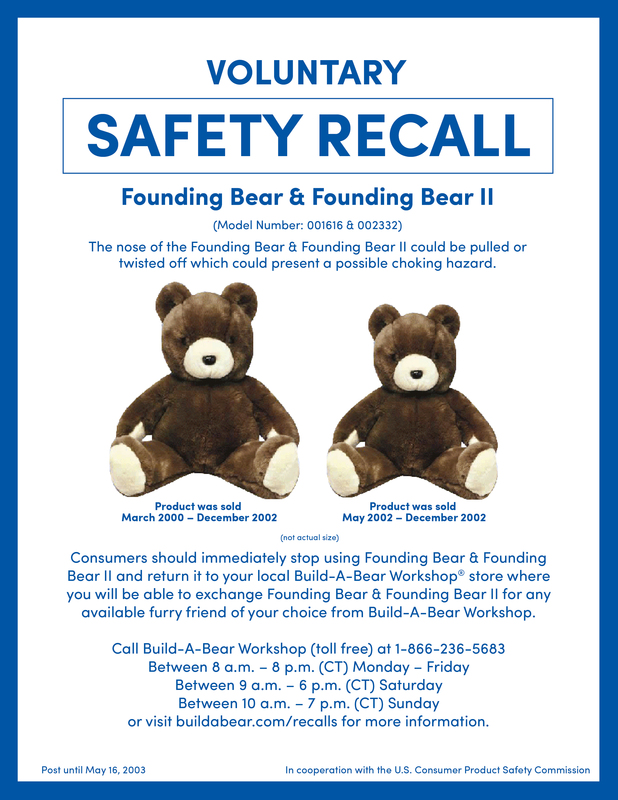 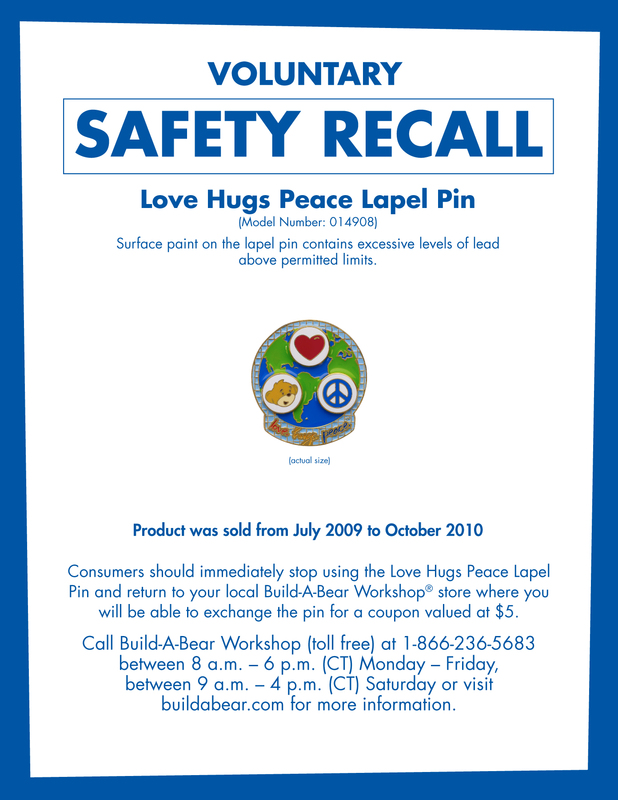 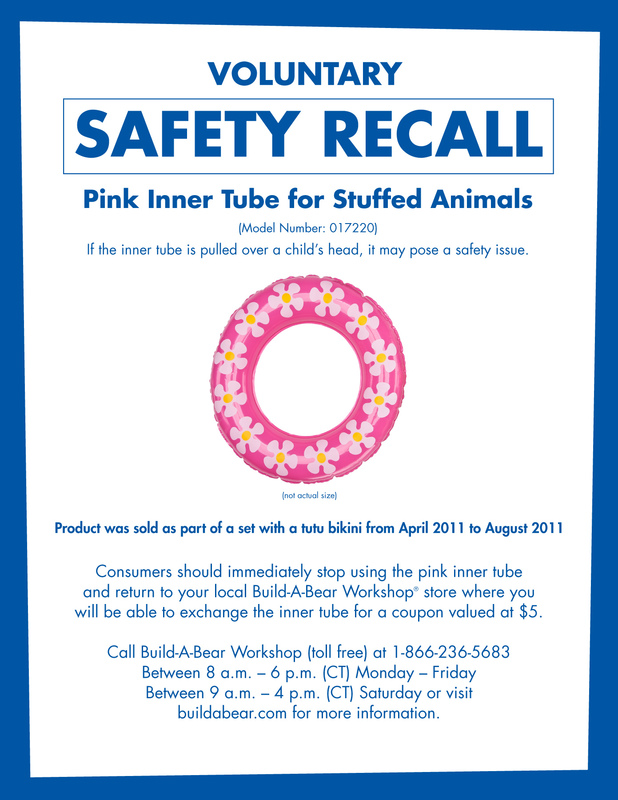 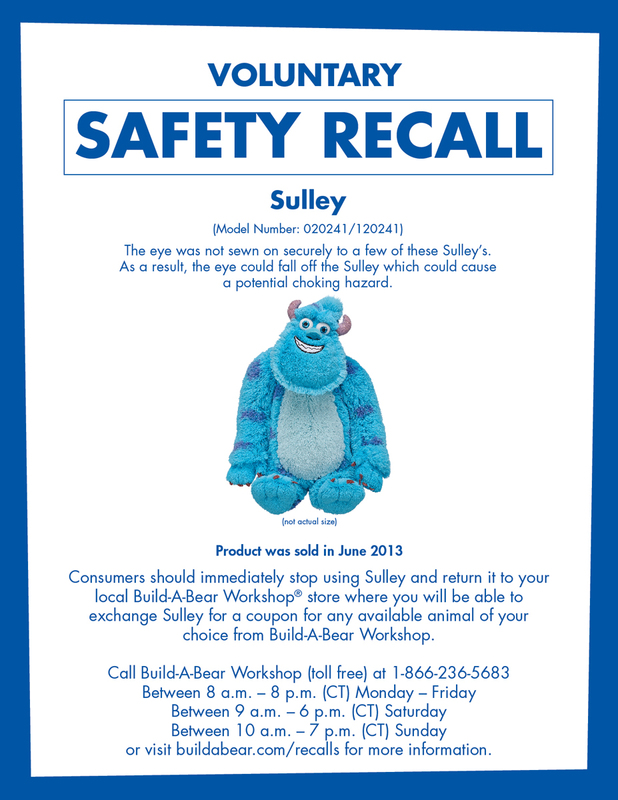 For more information on Build-A-Bear product safety, please visit our Product Safety page. 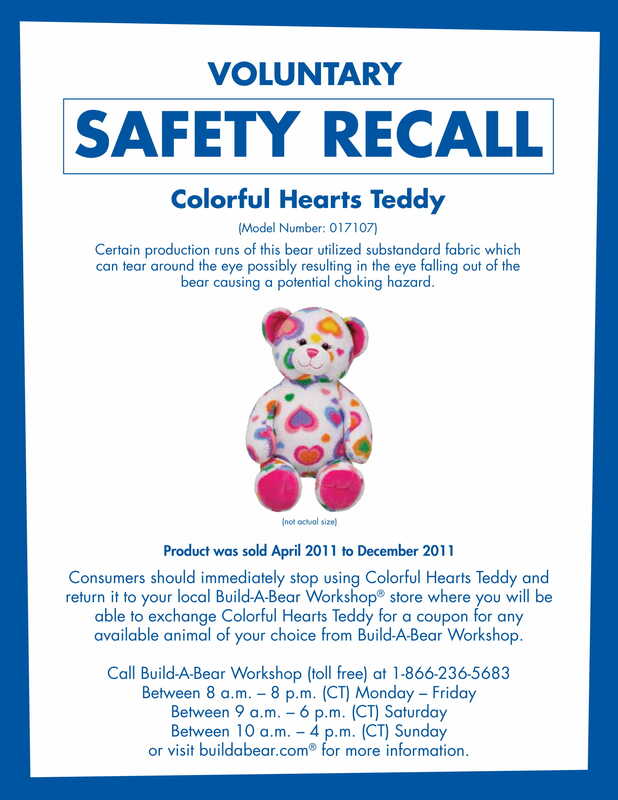 Or you may call our Product Hotline at 1-866-236-5683 (toll free) to speak to a Bear Service Representative. 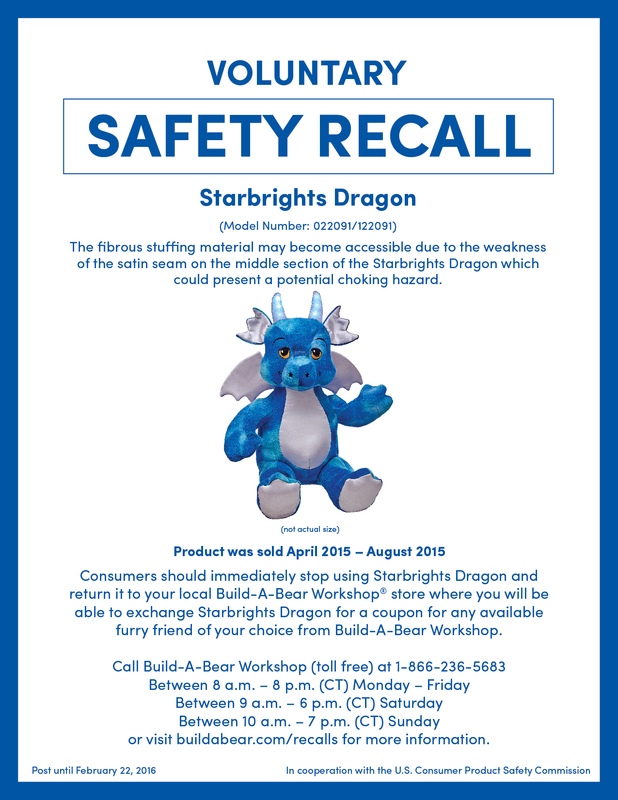 We will be happy to help you!